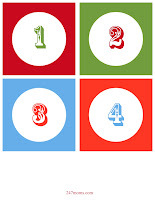 During Christmas one of the main traditions we do through out the month is called the “25 Days of Christmas”. We count down the days by doing daily holiday activities. Many of these are things you already do during this time of year but this makes it memorable. Maybe 25 days is more then you want to do why not try a 12 or 10 day count down. remember the goal is to simplify and have fun so do what works for your family and your schedule. STEP 2: Next, I then choose 25 ideas I want to do that particular year. A few examples are: decorate a tree, make cookies, visit Santa Clause, read the Christmas story, movie night, serve sparkling Cider for dinner etc. Like I said, many of these are activities you already do with your families. We are just creating a little more Christmas excitement. STEP 3: Then I look at my calendar and see which days I can do each of my chosen activities and I write them on my calendar. STEP 4 : Next, I go to my computer and type up little notes to go with each activity such a “ Artists are you ready? It’s time to make a masterpiece in our bonus room” This is for the day I allow my kids to paint the windows with a Christmas scene. Another example is “Get your hammers and nails out it’s time to build and decorate” did you guess this one? Time for my kids to create a ginger bread house. * place each note in a separate numbered envelope. Each day your children can open an envelope and read what that days activity is. 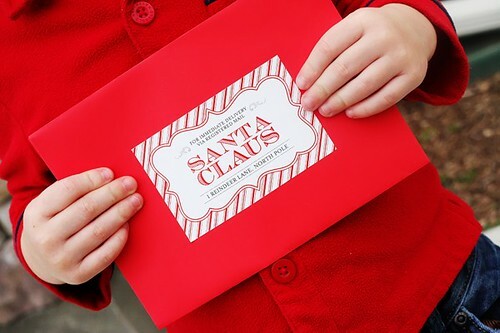 I do not recommend you seal the envelope until you hand it to your kids because if life goes crazy and you were planning to see Santa but Suzy got sick, you can quickly change it around. Which is also why it is important to keep a list of which days you are doing what. * Place each note in little numbered boxes or Chinese take out boxes hung on a small tree. You can download 24/7 MOMS 25 day numbers by clicking here. * Place each note in a numbered Bag. You can download our 25 day count down numbers by clicking here. *Hang 25 small stockings on a clothes line and place a number on each stocking . Need numbers get our free ones that you can download here. *Purchase an Advent Calender with pockets to place the notes in. *Purchase an Advent curio cabinet with little drawers to place each note in. Keep it simple choose carefully what activities you will do so that you do not become overwhelmed. Make this season a time to make memories with your kids and make it special. This is the time of year we Celebrate the birth of Jesus, not living each day in complete stress and on overload. Make it Simple. Make it Fun! 25. Help a family in need ...choose ways to teach your children to give. 26. Make or purchase Thank you gifts for community service workers then take your children around town to drop them off. 46. Elf on the shelf arrives. 49. Create Christmas Blessing Mix for friends and classmates. 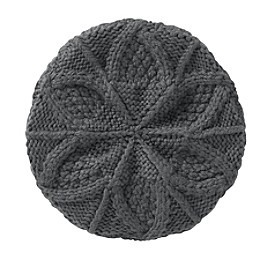 Click here for FREE bag topper. 50. Make Snowman Soup for family and friends. Click here for FREE bag topper. Add your own family traditions. 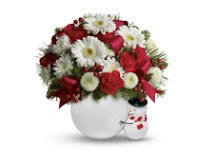 A sweet snowman hugging a container of fresh flowers conveys the joys and warmth of the snowy season. It’s the perfect gift for friends and family, colleagues, neighbors – anyone who needs a smile. The great thing about this bouquet is its versatility – it’s festive without being too Christmas-focused – ideal if you need a gift for someone you don’t know well. 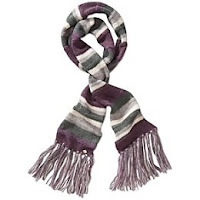 It will fit into almost any décor and you can put it out in early December and use it throughout the winter. Another plus: It’s very cost-effective as a gift because you can send it to a whole family for all of them to enjoy (without having to send each one a gift). And it’s calorie free! About Teleflora: At Teleflora, we're proud to have been connecting customers with the nation's best florists for more than 75 years. Headquartered in Los Angeles, California, Teleflora has over 16,000 member florists throughout the U.S. and Canada, with an additional 20,000 affiliated florists outside North America. This extensive network, coupled with our commitment to exceptional customer service, means that when you send flowers from Teleflora, you can be confident that you’re sending the best. Why We’re Different: Some other online flower companies pre-package their flowers in nondescript cardboard boxes, which are loaded onto trucks and dropped at the recipient’s door. Once they finally get inside, the flowers may be damaged or dehydrated. But a Teleflora bouquet is different. All of our floral arrangements are artistically arranged by a local florist using only the freshest flowers available, and each gift is personally delivered in a vase - in most cases, the same day you place your order. SHOP: Click here to visit Teleflora's website and shop for your Send a Hug Bouquet. WIN: 24/7 MOMS and Teleflora are giving away a Send a Hug Bouquet. US entries only and one entry per person. Winner will be chosen on December 12, 2010. **This is a sponsored post from Teleflora. We also received a Send a Hug Bouquet for review. Organize, organize, organize is the key to any successful event that can actual be stress free! Here are some tips for you to have that perfect dinner party for the holidays! 1) Labeling Your Serving Dishes: Write out everything that you are having for the dinner. I like to use little sticky note pads. Then pull out all your bowls, platters, etc.. Start deciding where all the food will be going in... mashed potatoes are going in this bowl. Then mark it with the sticky note. Also don't forget to get all your serving utensils that you will need and place them with the appropriate dish. Great idea is to even lay it all out where they are going to be to see how it all looks... if they fit. Make sure to leave some space for people to place their plate on the table to make it easier for them to dish their food. 2) Identification Cards: You might know what the food is but not everyone might know. A good way and looks great too is to label each of your foods. You can purchase place cards that you can use to label your food at the Dollar Tree... or make your own. 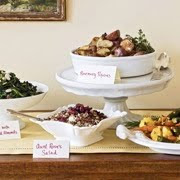 3) Different Heights: Creating different heights for your buffet not only makes it look professional but it is also easier for those farther away items to be reached with out dipping a sleeve in another dish. You can use cake stands or even an upside down bowl. Just make sure its all secure. If have to use a small piece of non slip material underneath. 4) Decorations: To create your buffet table to all flow together make sure your serving dishes and decorations go together. You could add something as simple as a few flowers or candles. Also good idea is to use a darker color table cloth on your buffet table to hide those little spills. 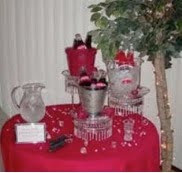 5) Flow: Make sure there is a beginning and end to your buffet table. You want a good flow so they can get their food fast and sit down. Is there enough space around your buffet table for people to get in and out? Keep condiments on their tables(butter, salt & pepper)... if its on the buffet table it will slow people down. Christmas Shopping Deal: Got tween or little girls on your shopping list then you will want to grab this great coupon. 40% off of your entire purchase at Justice clothing store. 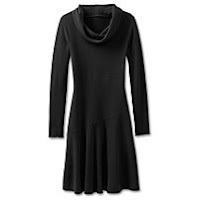 Coupon valid until 12/13/10. 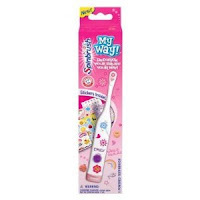 Battery powered, electric toothbrush designed to make brushing fun! · Packaged with over 140 stickers. · Water-safe stickers may be applied to the thick part of the handle. 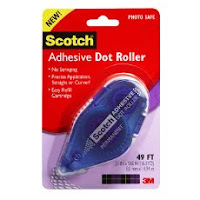 When you want to create great looking paper craft projects like scrapbooking and cardmaking, use the Scotch® Adhesive Dot Roller. The permanent dot adhesive applies precisely and smoothly to the end of the roll. Refilling is fast and easy with no threading! Precise application straight or curved. No stringing. Photo safe. 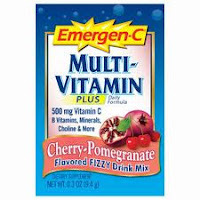 WIN: Emergen-C, Kid's Spinbrush, Purell and Scotch Adhesive Dot Roller. **We received a complimentary Emergen-C, Kid's Spinbrush, Purell, Scotch Adhesive Dot Roller for review no financial compensation was received. Q: Besides saying thank you, how do you show your thanks? It is all about PLAY this week on 24/7 MOMS Live Webcast this Tuesday night we will chat with the co-founder of "Simply Fun" the how's and whys of play then we will discover what smart toys we can give this Christmas season. - The Importance of PLAY - How much is enough? - Mom Time for chatting, winning and relaxing. There is no better way to explain the world to children than to start with their place in it. And there is no better source than the National Geographic Society and its award-winning cartographers. Now you can order an atlas personalized with YOUR CHILD’S name, picture, school, birthday, and more. Plus, include your own dedication to make this a book they will always treasure. This wonderful new atlas is custom printed fully personalized complete with your child or children's photo and promises to be a must have for kids ages 4 to 10 this holiday season. After all what kid wouldn't be thrilled to see their picture printed in a real full color picture book? Stop by atlasofmyworld.com where you can play with the personalizing of a sample book and see what it looks like (in a much smaller than its approximate 8 1/2" X 11" true format) and get the feel of the great ways the atlas can be personalized. There you can upload your child's/children's photos, see & choose from several different personalization options (ranging from where the child/children go to school, information about their pet, things they love/enjoy & more), write your dedication and then see what the final product will look like. A Must have for every kid this Christmas. (binder) has allowed me to keep track each year of who I bought for, what I gave them, what traditions we celebrated, activities we participated in, recipes we used and even pictures of how we decorated our home. It has been the one resource that simplifies Christmas in my home. After 10 years of using the same planner I decided it was time to update it with a fresh look and new planner sheets. I came across dozens of ideas and thought I would share a few resources and ideas with you in case you are in need of creating your own Christmas planner or ready to update your existing one. Grab an empty binder and download this prefect cover and other FREE downloadables and create your very own planner with simple step by step instructions. Click here for downloads and instructions. Click here to download your planner sheets. Family Fun's customized Holiday Planner, neatly divided by topic, with pockets for stashing various memorabilia. It organizes the entire season into one three-ring binder. Click here to read the entire how to article. The DIY composition notebook Christmas planner from Eighteen25. Click here for complete instructions on making your own Christmas planner using an inexpensive composition notebook. What exactly is CUPONK? The object: sink your ball into the cup and light it up. Get it in and you’ll hear the sweet sounds of victory, YEAH! You rock. Miss the shot and your friends get the chance to one-up you. When playing CUPONK your entire home can become a legitimate playing field. Tables, walls, chairs – IT’S ON! Test out sick trick shots like Off The Deep End, Blind Hook and Rick O’Shea. Show your skill and sink sick shots. Features lights killer zombie sounds! 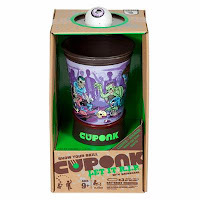 Includes 1 CUPONK cup, 2 CUPONK balls, 30 trick cards, a backboard accessory and instruction guide. The giggles are uncontrollable when the Hasbro Girl Talk Games are out. These games are perfect for fun slumber parties and to keep those “lol moments” alive during the holiday season. 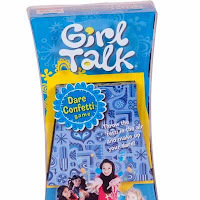 Each Girl Talk game, including Dare Confetti, Sparkle Spots, and Sassy Sticks, gets girls and families talking, bonding, and laughing! Throw the `fetti in the air and make up your dare! 20 Prizes Win glam faux gems! Grab a rectangle, circle & square - then make up a dare. Pick a friend... Now your friend has to do what you tell her to! Fore every dare YOU do collect a glam faux gem. Collect the most faux gems and you win! Includes: 150 Confetti pieces, 20 Faux gems, instruction. For 3-4 players. Ages 8 and up. WIN: 24/7 MOMS and Hasbro are giving away a Cuponk & Girl Talk Games. **We received a complimentary Cuponk & Girl Talk games for review no financial compensation was received. Christmas Shopping Deal: You can get $10.00 off of a $50.00 purchase at Pier 1 Imports with this FREE coupon which is good until December 24, 2010. Click here to download your coupon now. As the first tool of its kind, the new Dremel Trio allows do-it-yourselfers to perform the functions of many specialized tools with just one, versatile package. From the wall, to the table, to the floor, the Trio allows users to tackle multiple materials and planes without switching tools. With the Dremel Trio, it’s never been easier or more convenient to Cut. Sand. Rout.™ wherever your project demands. Cut: With powerful, 360-degree cutting technology and plunge-cut ability, the Trio makes quick and controlled cuts in wood, plastic, drywall, metal and wall tile. Sand: The Trio allows users to go where they can’t with most other tools to manage intricate sanding and shaping details. Rout: Add finishing touches, such as round or beveled edges, or cutout wording on a wooden surface without changing tools. The Dremel Trio is the first multi-functional tool of its kind: a spiral jigsaw, edge sander and detail router all in one. The Trio’s unique, 90-degree pivoting handle lets users adjust between horizontal or vertical surfaces without switching tools. The Dremel Trio Tool system is complete with a full line of accessories and attachments to tackle countless projects in a variety of materials. Available attachments include a vacuum attachment, compact depth guide, circle/edge guide. The Dremel Trio offers a speed range of 10,000 – 20,000 rpm with a variable speed dial for greater versatility and optimal control. The Dremel Trio has a non-marring base that protects delicate work pieces. A telescoping foot provides accurate depth control while cutting, sanding and routing. With an on-board dust extraction attachment, the Trio maintains a clean workplace during use. At half the weight and one-third the size of a jigsaw, the Dremel Trio is a compact, light and approachable tool that’s easy to maneuver. Lock-on button and multiple grip zones offer added comfort through extended use.The Trio’s 90-degree pivoting handle helps users maintain a strong grip for added control and accuracy during any application. The Dremel Trio will be available nationwide at all hardware and home improvement centers including Home Depot, Lowe’s and Amazon. SHOP: Click here to shop for your Drel Trio. 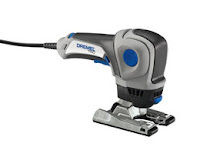 WIN: 24/7 MOMS and Dremel Tool are giving away a Dremel Trio. **This is a sponsored post from Dremel. We also received Dremel Trio for review. Have you HEARD about GroopDealz? The Daily deals that you wont want to miss. Today's deal is so fun and perfect for your kids this Christmas season. Four 5"x7" cards, which are professionally printed on extra-heavy 130 pound cardstock with a silk finish. Four address labels, pre-addressed to Santa at 1 Reindeer Lane, North Pole. The address labels are not adhered to the envelopes, so your child can enjoy the final step of addressing his or her letter to Santa! Your Letters to Santa kit will be safely packaged in a cello bag and mailed in a reinforced cardboard envelope. Kits are shipped via first class mail. Please allow 5-10 days for packaging and delivery. Click here to get your GroopDealz today. 30% off and FREE Shipping on any order, today ONLY. Click on this link to go to the Keurig Elite Coffee Brewer for $129.99. Add to your cart. You will then see the discounted price of $109.99. Use coupon code CYBER20 at checkout to get an additional 20% off and receive free shipping. A fully customizable and easy-to-install home décor solution featuring popular Nickelodeon themes including Dora the Explorer, SpongeBob SquarePants, iCarly, and more. Nick Walls by HP Cyber Monday Mania! 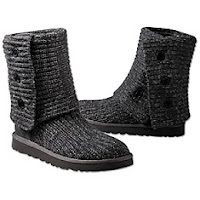 Discount will automatically be applied to cart – no code required. Unlike traditional wallpaper, Nick Walls by HP combines the Nickelodeon content your kids love with your own creative touch. You simply enter the precise dimensions of your wall into HP’s intuitive online design tool, then create a unique design using imagery and characters from your child’s favorite Nickelodeon shows. You can even design around obstacles in your room such as windows and doors. Best of all, it is extremely easy to put up and take down (all you need is water and a sponge), eliminating the need to spend hours scraping paste off your walls and making it simple to change designs as your child grows. Families can now visit the online Nick Walls by HP store at www.nickwalls.com to create their unique designs and place an order for delivery in time for the holidays. You can also view a demo of the offering here: http://www.youtube.com/watch?v=_RZT4AA4SOk. What was life like without microwaves? I often say we live in a microwave world we want it quick and simple, which is exactly what a microwave does in our mom world of cooking. I am excited that this week Sears appliances and LG have once again teamed up to present our fans and followers with a chance to win another great LG appliances - just in time for the holidays! 1) Click on the "Registration Link"
This week's sweeps runs from today, ending at 11 a.m. Central on Friday (12/03/2010). They will then choose the winner, so stay alert, and keep your profile or background image up, as they will be contacting potential winners that day. *24/7 MOMS is a compensated brand ambassador through the Mom Bloggers Club member program. Q: What was the nicest thing someone has ever done for you? Q: What do you get if a sheep studies karate? Christmas Shopping Deal - Amazon has the Fisher-Price Kid-Tough Video Camera – Pink priced at $50.03 then use code FPBF5015 to get $15 off Fisher Price Toys (purchases over $50) to make get your camera for $35.03 and free shipping. Create these adorable monogrammed and personalized Christmas ornaments for your family and friends that we found over at Embellished Bayou. For complete instructions on making your own personalized / monogrammed ornaments click here. A delightful way to show little ones how their hands are a blessing from God that they can use to do help others. SHOP: Click here to shop for your One Hand, Two Hands book. WIN: 24/7 MOMS and Thomas Nelson are giving away a One Hand, Two Hands book by Max Lucado. **This is a sponsored post from Thomas Nelson. We also received One Hand, Two Hands book for review. Christmas Shopping Deal: 2 Hot Wheels Battle Force Cars and the Battle Force DVD for only $2.99 + Free Shipping on Any Order (No Minimum). Ready, set, action! Watch and play with the elite team of Battle Force 5™. This will make a great Stocking stuffer at a great price. Click here to order yours today. Be sure to check out Mattel’s Website there are over 100 items marked 60% off plus all items get Free Shipping! Each day we prepare ourselves for what we have ahead of us. 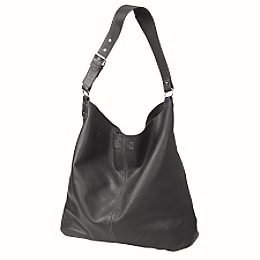 Those women working outside of the home may place on a suit and bring her briefcase. Those women working in the home place on a pair of pants and shirt. Both choices allow each woman to successfully go about her day. 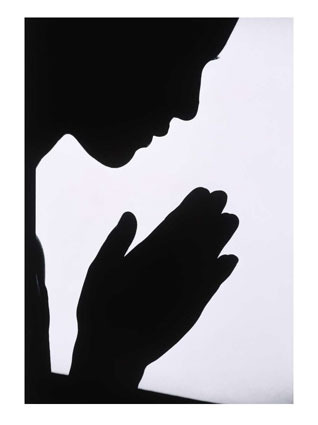 The bible tells us a christian woman whether working in or out of the home must make special preparations each day so that she may be spiritually ready as well. As Christian women we are never fully dressed, nor completely prepared for your day without these things above. As a mom it is our responsibility that our family is also prepared for their day as well.